Spring weather has FINALLY arrived! You are probably thinking about getting outside to enjoy a bike ride on the trails or launch your kayak in the beautiful river. Before you go, did you know MCD provides maps, trail conditions, day trip recommendations, safety guidelines, and more? We do! We want you to have a safe and fun experience in and along our rivers. We also track river levels and keep an eye on water conditions. View and download the water trail maps for the Great Miami River, Stillwater River, Mad River and many large creeks. 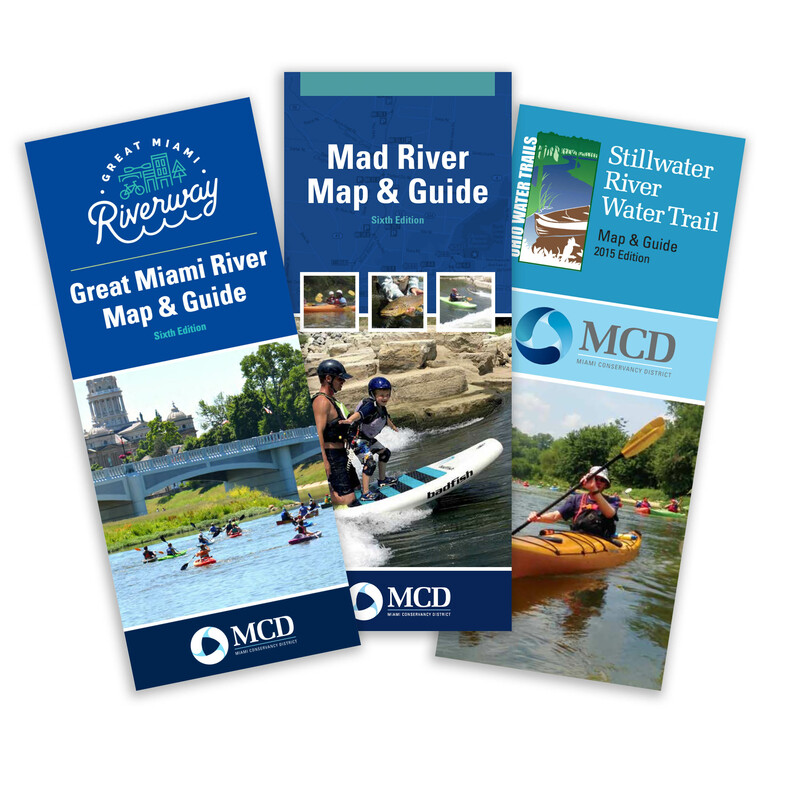 Check out the NEW detailed 10-mile segment maps for the Great Miami River. 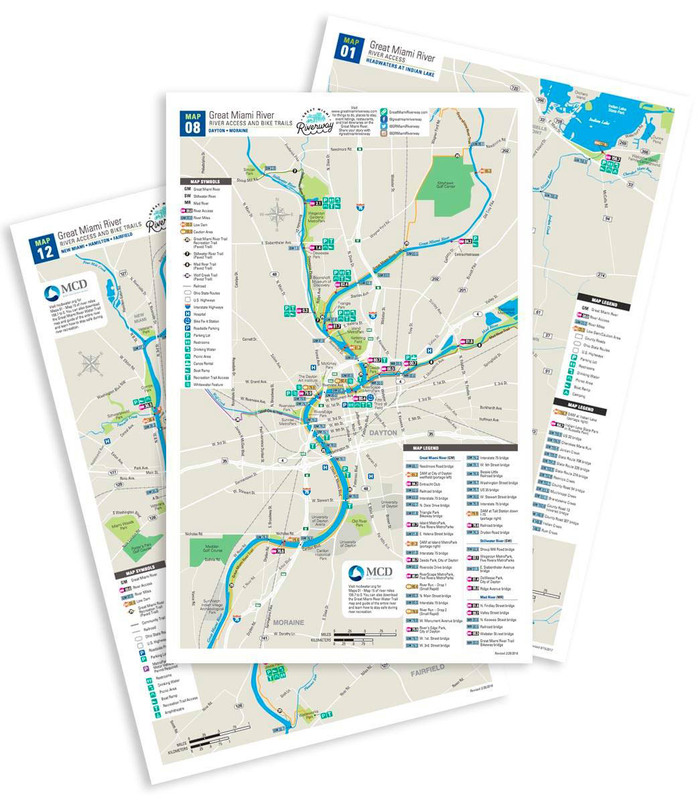 View Route 25 (the Great Miami River bike trail) on the interactive regional bike trail map or stop by our office to pick up a paper copy. If you want to know how high the river levels are without leaving your couch, check out these MCD graphs that show the current, past, and forecasted river levels. River users frequently ask me, “Is the water safe?” The answer is yes, in most cases. Read more here. See the reverse side of the water trail maps for tips on Staying Safe, Avoiding Hazards, Boating Etiquette, and Outdoor Ethic while on the river. Safe Boating Week May 19-25. And speaking of safety, there is one simple thing you can do to help make sure your next paddling or boating adventure is a safe one – wear a life jacket! 80 percent of all boating deaths are due to drowning. Two-thirds of drowning victims were good swimmers. Enjoy the Great Miami River & Play It Safe!